….Let’s say you were responsible for Gigli, and you realized during filming that it was shaping up to be one of the worst movies ever made. Instead of writing off the $54 million you’d shelled out to make the film, you could simply buy up a stack of futures contracts priced on the assumption that the movie would tank. Then, to nudge that failure along, you could slash the marketing budget, or decide to add 30 more dreadful minutes to the final cut. 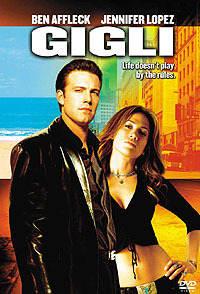 Played correctly, a studio could inflict a movie like Gigli on the world and still turn a profit. If box office futures trading happens, being a Hollywood insider would take on a whole new meaning. This sounds like a great way to finally destroy one of America’s few remaining big export industries. Lenin said once that capitalists would sell communists the rope to hang them with, but he was wrong. The communists are gone, so we’re selling it to each other, and even a world historical economic meltdown won’t convince us to stop. It’s like watching a coke addict knocking over the bystanders as he barrels out of rehab to track down his old crack dealer.